“As is typical of Turner's other works, this volume is meticulously researched, well organized and beautifully written.” – Dana Lepofsky, The Midden. 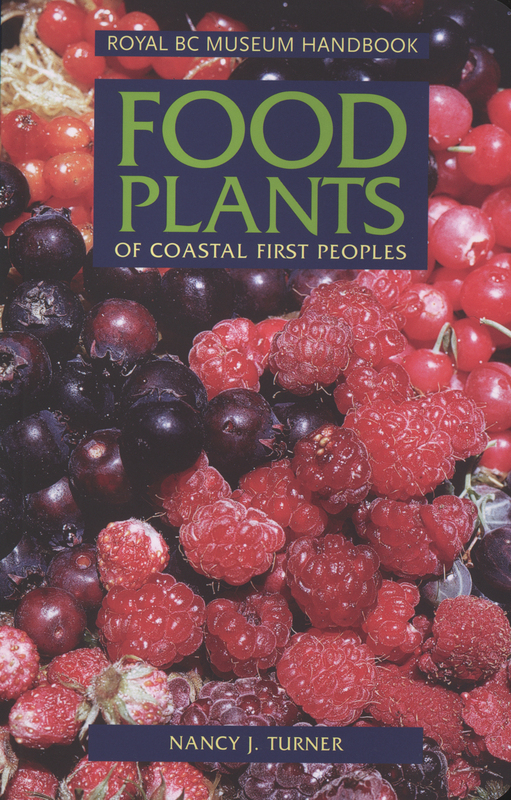 “A must-have reference for anyone interested in wild edible plants and traditional cultures of BC's coastal First Peoples.” – Traveller magazine. Categories: First Nations, Handbook Series. 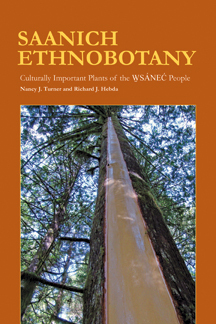 In this classic Royal BC Museum handbook, renowned ethnobotanist Dr Nancy Turner describes hundreds of native plants used by First Peoples of coastal British Columbia and neighbouring groups in Washington and Alaska. 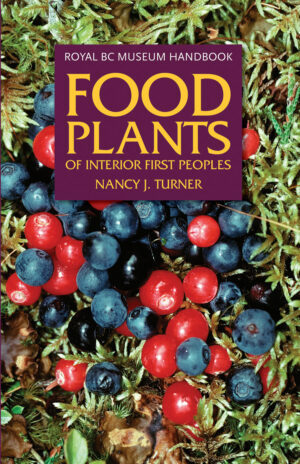 She explains how aboriginal peoples harvested and prepared all parts of wild plants for food. Each plant description contains botanical details and a colour photograph to help identify the species, information on where to find it and a discussion on traditional methods of harvesting and preparation. This ever-popular book is a perennial best seller and has been reprinted several times – again in 2013. 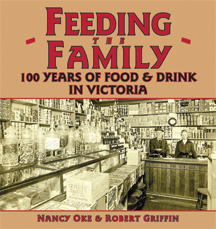 More than 18,000 copies have been printed since the first edition in 1985. Dr Nancy J. Turner is distinguished and Hakai professor in ethnoecology in the School of Environmental Studies at the University of Victoria. 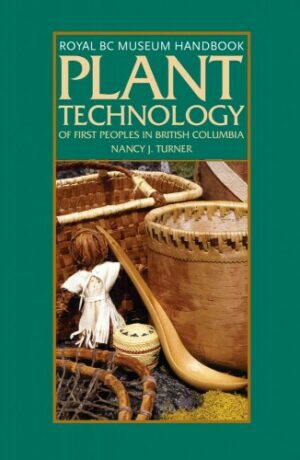 She has published several books and numerous articles on ethnobotany and First Nations issues. She has received numerous awards for her work and is a member of the Order of Canada and the Order of British Columbia.